Search engine optimization is something you should learn if you are a blogger. 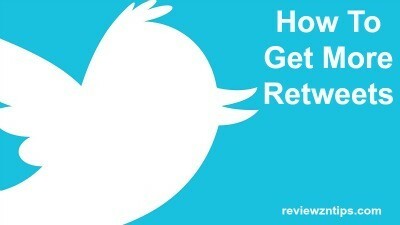 You can get traffic from social media, or your mailing list, or even other marketing methods. But organic traffic is probably the best in terms of bounce rates, average time the visitor spends reading and conversion rates. 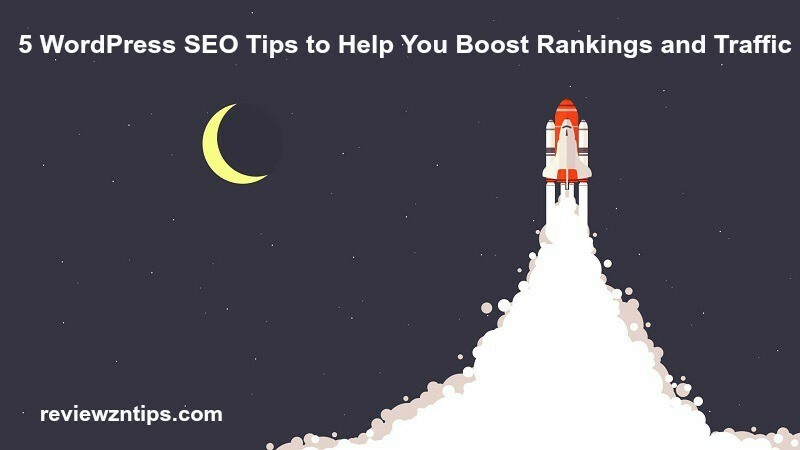 So without further ado, here are five WordPress SEO tips that will help you get a little more attention from those fussy spiders and crawlers that search engines use in the ranking process. The permalink structure is one of the elements that WordPress users have full control over. The above example shows a URL structure that is not quite ideal. The problem is that the main component i.e. the blog post is buried in the archive in such a way that the search engines need to first go through the year, then the month category and then the specific day until they reach the article. The deeper the crawlers have to go, the better the chance for them to decide not to waste time indexing a page. The latter is obviously NOT what you want. So how do you modify your permalinks? You simply open up your WordPress dashboard, go to Settings –> Permalinks. There you choose “Post name” and save the changes. This will result in a flat blog post architecture, which is best in terms of SEO and ease of navigation. There are a few SEO plugins available for WordPress that do pretty much the same tasks. WordPress SEO by Yoast is a great one, but I always used All in One SEO Pack Plugin (and pretty satisfied with it). One of the things I found (and am still finding) most useful about it is the tab that you get under the post editor. There you have the option to choose the so called “focus keyword” for the post you are just writing. You can also write your own meta description tag. Additionally you can also include a search engine title. That allows you to choose one title to be displayed on your actual blog and second, search engine optimized one for the SERPs. Having a professional theme ensures that your content will be indexed by the search engines, since the developers have taken special time to optimize every aspect in terms of both security and SEO. The unlimited support you get after purchasing a premium theme on the other hand shouldn’t be underestimated as well. Whereas with a free theme there are all kinds of glitches that can occur, the same can hardly happen with premium themes. If it does happen however, you get full support on dealing with the problem. And sometimes reacting timely can save you from losing search engine positions and traffic. But if you are at the beginning of your blogging career and you can’t afford a paid theme, don’t worry. There are hundreds of beautiful free themes you can choose. Visit Hostinger to find a list of the best free WordPress themes. Remember, you want to ensure a positive user experience, first. Then, look for a fancy design. Wondering what a slug is? Well that’s the part of the URL of your blog that you will point exactly to the post you are currently writing. WordPress allows you to directly modify the slug without much hassle, so that’s a practice well-worth following. The slug is generated upon the title you’ve added in the title field in the WordPress post editor. However in 99% of the cases the end result is far from ideal. Modifying the slug is fortunately as easy as clicking on it and writing your own version. Length – the shorter and to the point, the better. Best for both the reader (yes, some people do pay attention to the URL) and for the search engines would be to keep it under 3-4 words. Relevancy – Obviously the slug has to be relevant and it has to point exactly to what you are going to cover in the article. Best would be if it consists of the main keyword (preferably long-tail one) that you will be using. The are several plugins you can use to add related articles to your blog posts, but with my theme, this come already as an option. The idea is simple. Since those kinds of tools aim to provide relevant content to the article that they are displayed under, the links there are valuable in terms of SEO. If your theme does not support related posts, simply grab a plugin (this is one of the most popular ones, with 4,7 out of 5 stars reviews). Those are some of the most useful tips I have currently applied to my WordPress installations and that I believe are helping improve search engine results. Now let me hear what you think guys! What other WordPress SEO tips can you add to my list? What do you think about premium themes? Let me know in the comments and please consider sharing the post if you liked it! Helpful post. Thanks for sharing this tips. I usually use Yoast SEo plug ins. but I try to use your All in One SEO Pack Plugin. Thanks. both are really good SEO plugins, among the most popular in the market. This one is surely targeted to newbies as the tips mentioned here are quite basic. The reason I am commenting here is the 3rd point you have mentioned – “Get a premium theme”, this is surely very important and it took me almost 1.5 years to understand, although I knew there may be some benefits of getting a premium one but never ever cared to shift and when I did, the results were amazing. yes, those tips are pretty basic, but you would be amazed to know how many “experienced” bloggers are still not following these points. Good to hear you finally got your premium theme. I believe that there is not a second chance to make a first good impression, don’t you agree? Absolutely correct Erik, apart from the impression it gives us SEO benefits as well which a free theme can never give. The worst part is that some bloggers visit forums and torrent sites in a hope to get a premium one for free, this is nothing less than a slow poison because that template could be corrupted which will kill the hard work done on the website. Are there a lot of bloggers doing that? Even when I started, I always saw the themes I purchased as part of the investment of my online assets. And I’m so glad to see today my websites doing really well today. Would modifying your permalinks after you’ve established yourself mess with previously written content? In most of the cases, WordPress handles the re-direction by default, and you don’t need to worry about doing anything. But sometimes, you need to play with your .htaccess file, as some themes may give a 404 error, after the permalinks change. Also, you’ll lose your social media shares. Thank you for your response. Losing social media shares isn’t my goal so I’m stuck with my original configuration. Well, if you have a lot of posts, that may be a pain. I must say these are the very basic steps which required at the time of creating a WordPress blog. But, I would like to add some point to it. If you would have listed some basic plugin which generally required at the initial stage of step-up, then it would be much helpful for newbies. When I’ve started my blog, then I’m pretty confused what to add or what not. Because you know lot of information create confusion and the way you presented in a simple step are appreciable. I was thinking about creating a post about the WordPress plugins every new blogger should install. Thanks for the suggestion and for your comment, Anurag. Hey, Erik, you have shared superb knowledge, Basically I have learned something new on your website. Today I have got new ideas for increasing site traffic. Thanks A lot. It is very informational post I loved reading it I want to ask Do updating date and data of post which is posted previously help in boosting ranking? How many post is Good monthly? I try to stick with 2 post weekly, but you need to check what works for you. I think you should keep in mind quality, not quantity. I’ve seen a lot of good cases lately for using category/postname instead of just the post name for the permalink structure lately. It would seem this structure gives visitors and search engines a better idea of the exact topic of the article. What do you think of that? I personally use just the postname but that’s because I don’t want to mess with completely redoing my entire sites structure. WordPress isn’t the best about handling all the redirects either, I used a plugin called Quick Page/Post Redirect Plugin for doing that, it’s nice having it all in WordPress rather than having to mess around with the .htaccess file. Well, the fact that all the TOP blogs are using a “/postname” permalink structure, makes me think that it’s the right way to go. Honestly, I’ve never visited a site using “category/postname”. The top blogs can do whatever they want, they’re the top blogs 😉 But really, I don’t know how valid it is and I’ve just recently been seeing it the last few weeks crop up in various places (Yoast blog might have been one). Just something to keep in mind for new blogs maybe but probably not worth uprooting a current site structure. It’s something I’ll pay attention to, then, Nick. Thanks for stopping by again, leaving your reply. Very interesting and helpful article. Thanks for the tips and advice. Let me try All-in-one SEO plugin, at present i’m using Yoast. I’m bookmarking this website for future reference. Both are very good SEO plugins, Teddy! Hope these tips can help you improve your blog SEO, Taposh. I would like to add to what Erik said. By default, yes wordpress can do that. However, there are times that it can’t. if you are to utilize htaccess, it can only redirect like for like. This is true if you are to switch from domainname to domainname with ssl but not domainname to domainname/category/subcategory. It would be best to use yoast redirect functionality or a plugin called quickredirect if you want to make sure.If you want to save the post or page ranking, redirects will reduce your stats.Something to think about when utilizing redirects. That’s a nice plugin I’ve already heard of, Vikas, but WPSmush.it service has a 1mb file size limit. It’s a bit too low, don’t you think? Thanks for the comment. But 1 MB is for a free version. If you’d like to upgrade to the WP Smush Pro plugin you can smush images up to 32MB in size, get ‘Super Smushing’ of, on average, 2× more reduction than lossless, backup all non-smushed images and bulk smush an unlimited number of images at once. I just checked and WP Smush Pro is available under monthly subscription. I’d have preferred a one time payment than recurring one. Great tips! I too use all in one SEO pack plugin. The blog is really very useful. Thanks for the blog. Good to hear it, Riya. Thanks for sharing your experience, Riya. Security is definitely one of the most important aspects of having a website! Thanks for adding that, Stephen. wow nice list bro, as per SEO i prefer “The All in one SEO Plugin” and as per anything new ama love to use , i would try WP SOCIAL SEO BOOSTER WORDPRESS PLUGIN, i dont know if its paid, or as promising as you wrote ,but am sure its worth giving a try, and ama try it on my blog asap.. thanks Harsh i always love your articles. Thanks for that suggestion, John. I am fairly new to blogging. And I am on Twitter, Facebook, and Google Plus. I’ve been reading some of your posts, and I found you on Twitter. However, I’m not very technologically proficient. So I am having a hard time really understanding some of your information in your posts. Would you recommend I take some sort of class to become more proficient? A class in person or online? Do you have any suggestions for classes? I almost think an in-person class would be better for me. I am in the New York metro area. I had hard time to learn the several technological aspects of blogging and internet marketing too, when I started my journey. I’d recommend you taking an online class, you can choose among the courses available at Udemy:https://www.udemy.com. But if you think that an-in person class would be better for you, then I’d suggest Adrienne. She’s a friend of mine, very kind and honest. She’s really prepared and helped a lot of people starting and reaching success with their online journey. Nice tips about WordPress SEO but i have to ask some question about the Accelerated Mobile Pages impact on SEO, It is new technique I have install the AMP WordPress by Automatic and I found too many error’s into my Google Webmasters tool, and its increasing day by day. Can you some help about this problem Please ?? What are the errors you got, Mudasir? AMP error is about Invalid attribute and Invalid tag, missing tags ets, I just install AMP WordPress plugin for AMP pages. Have you thought about contacting Automatic support? Or posting that on the WordPress.org plugin page? Yes, I also contact on both forum you mentions, now its improving day by day, the reel issue is cause by the Cloudflare feature Rocket Loader. Now my amp pages is indexed and errors are recovering. I suggest that every newbie blogger should follow above-said tips to improve Search Ranking. However, I want to share that they should also need to write unique and user-friendly Meta Description, even if it is not a ranking factor it will increase Click Through Rate (CTR). Also, add engaging multimedia to reduce bounce rate that further improve search ranking. Thanks for adding those suggestions, Mohan. I have been applying all these important tips to all of my blog websites but one this which I keep on priority that is quality content as I believe content is the king which engages more visitors and compel people to visit again and again. With that in mind, you are well on your way to build a successful site. Thanks for adding that, Mohd. Excellent wordpress seo tip Erik, unfortunately I am new on seo i cannot really understand, moreover, I want this and I’m interesting go further more. Be sure to bookmark the page, William and look into it in future. Great post! I use yoast SEO. Can you tell me how it is different from All in One SEO plugin and what are the benefits? They both are good for SEO, Hardik. Glad to have you helped, James. Yes, WordPress is optimized for search engines, but still, there is plenty of things you can do to work on your site SEO. Glad to discover this informative information. There’s many article showing seo tips, but this page has convince me to believe everything about seo service. May search engine optimization is difficult than you think but I believe if you follow this brilliant tip I’m sure everything makes smooth and easy. Thanks for the positive feedback, John. I’ve tried everything from surfing traffic exchanges to buying advertising…but I use google analytic and it’s not showing much organic traffic. This tips could truly help me. Thanks! Hoep you can get some more traffic, thanks to these SEO tips, Galen. Thanks for sharing this article i recently start a blog on wordpress with free theme but i have faces many problem for this theme can u suggest me which type of premium theme is better for my blog. actualy my blog based on digital marketing tips and tricks. This information is really interesting especially it’s talking about wordpress. Now I am about to install a new plugins for my SEO wordpress so that I can able to enhance more. For slugs, I remove the stop words from the posts’ titles to reduce the character count as well as optimize it to center around the keywords. Yeah, I’ve read a lot about “stop words” and the Yoast SEO plugin helps in that. Thanks for sharing your views, Adeel. Hello, Erik. You are definitely helping the SEO beginners to understand and guide them of how to work on SEO and to increase their online market traffic. This is the awesome topic. Thank you for boosting our self-confidence. Good to hear I helped you some ways with WordPress and SEO, Noel. Thank dear, its is really useful for me as the beginner. Most of beginner don’t changed their permalinks after this I glad to know why I am lagging in the search result just cause of the permalinks. Have you ever used Jet pack plugin for SEO?? I am using that plugin and I think it is best plugin. Do you know any other plugin for SEO? Nice post. I am more of a Yoast guy than All In One but the point is no matter what plug in you use you must have one. I agree with you about the premium theme but I really like the related posts suggestion. Not only does it help your visitor find other posts that they might be interested in reading but it also helps the search engines crawl your site. I am using yoast seo plugin . and pretty satisfied with it. Great tips, Very useful SEO friendly tips & tricks to gain Traffic. This blog is so nice & elaborated very effectively. That’s very helpful for the beginners..
New on SEO. Have relied on content and the nature of the content. The article is really informative and helpful. This is actually a very informative advice about SEO to us newbies. May I ask what plugins do you use? I’ll share this with my friends. Great work! I’m using a Moz google chrome extensions for my linkbuilding task. Is interlinking does play a role to rank a page. I just started blogging and looking for the best SEO tips and tricks that I can learn. BTW thank you for the detailed post. Great share Erik. WordPress powers more than 25% of internet sites and it is essential for bloggers to know WordPress SEO tips in order to stand out and rank higher. Thanks for the awesome guide. Sharing it. Thanks for sharing such useful tips! A well manage of SEO really important because it will giving your website a better ranking in search engine result. Hope to read more from your site! Can you suggest some Related Posts Widget? BTW, I have checked the post and think it is very useful for bloggers who are new to blogging world. This article can help them learn basics. Hello, Erik, you have shared magnificent information, Basically I have gained some new useful knowledge on your site. Today I have new thoughts for expanding site activity. Hi Erik, thanks for sharing tips, these techniques will definitely help me to increase traffic. I am new to Digital Marketing field.The tips you mentioned in this article is very useful for me.thanks for sharing with us. Great tips in this article. Specially, Slug part. Even it is a common practice of meto open the search results on SERP which have slug part. In wordpress, it is really very easy and just as easy as choosing a custom made template for your blog. Now, Google applies some standards and have introduced some eight updates recently. Following those rules, we should exceed the no. of words while writing URL as well as metas of the page. Avoid blac hat, it will be dangerous at the end of the day and will create problem for the blog progress deranking to last pages. Yes both are really good SEO plugins for Yoast plugin and SEO Pack Plugin thank you for sharing the information with us. Great tips. I agree it’s necessary to use an SEO plugin to boost our rankings. I personally use Yoast SEO. Using a premium theme will definitely make the WordPress site look professional and increase security. Wonderful article Erik ! Thanks for sharing. You made it simple to make a site in wordpress and how to make it seo friendly. You have provided great SEO tips and all these tips will surely help us in improving our website’s ranking and traffic. Here, I have learned something new about SEO. Yoast SEO is a very useful plugin for every blogger and internet marketer and this plugin must have in their pouch. Here, happy to know about All in One SEO Plugin for WordPress. Hello Erik! Your blog is really nice. Thank you for sharing such great WordPress SEO tips. These tips are very helpful in improving the website rank on search engine.